This morning's Ithaca Journal reports that 10 to 15% increases in the cost of materials may force changes in plans for elementary school renovation. The Dryden Central School Board will have to look at a list of options and choose priorities. Cathy Wakeman writes about the recent availability of massage services in Dryden, as well as the Southworth Library book sale, which will run from September 16th to September 18th at Neptune Hose Company. The Library is accepting donations through September 11th. The Dryden Briefs announce that the Recreation Department will be sponsoring girls' field hockey starting September 8th, with practices Monday and Wednesday afternoons. They're also sponsoring a football competition, the Pepsi Punt, Pass, and Kick, on September 11th. The Conservation Board continues to seek a new member as well. If you're wondering whether the rain we've had lately is a record, it sort of is. 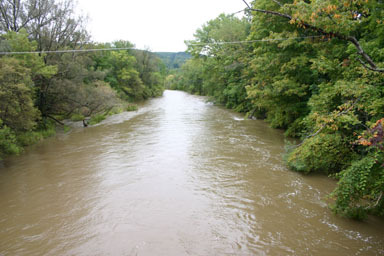 The Journal reports that the Ithaca area had a record number of days of rain from June to August, with 49 days. The previous record was 46, set in 1947. The quantity of rain in August, 7.63 inches, is also well above the average which (if I'm reading weather.com right) is 3.61 inches. I'm a little confused by the total rain for June, July, and August being 17.53 inches, when they say the wettest summer was 1935's 15.19 inches, but maybe they're counting summer the season in that paragraph rather than June-August. In county news, the Journal reports on last night's jail and county executive forum where no one favored either project. On the opinion page, Assemblywoman Barbara Lifton replies to the Journal's earlier disappointment in her work on making TCAT a public authority. Unfortunately, while she believes "this is an instance where the state unions and the Assembly leadership need to be more flexible," she doesn't come near addressing the Journal's question of "So, just who runs the state Assembly?" When the process itself is broken, pointing to a lack of flexibility as the problem isn't much of an answer. A number of speakers at last night's forum suggested that it would be nice if the energy that went into last night's public forum on changing the county form of government could be directed at our state government. It's hard to disagree with that when introducing bills that have a substantial effect on our public transportation system would be "posturing ... a waste of government resources." Lifton is apparently still working toward compromise legislation. This morning's Ithaca Journal reports on a range of new courses at TC3, from General Genetics to Web Design Solutions to Writing Romance Novel and Other Genre Fiction to Introduction to Sociology. The county's application for a grant to seek more carriers at the airport was denied, which makes US Airways' current trouble seem even more threatening. On the opinion page, Dryden resident and Ithaca Journal Managing Editor Bruce Estes lists changes coming to the paper soon, including a Friday "Our Towns & Neighbors" section "to include news of awards and achievements by our Tompkins County neighbors." The Tompkins County Democratic Committee and the Cornell Democrats held a candlelight truth vigil on the Ithaca Commons tonight. We lit candles, marched briefly around the Commons, and heard about the Democratic Headquarters that's now open. In a ferocious political year, it was a nice way to spend an evening. 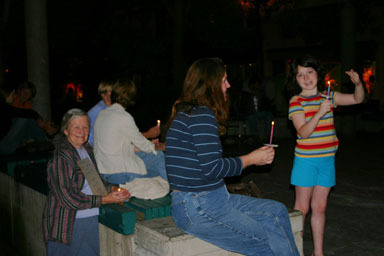 Dryden residents Nancy Suci, Kathy Zahler, and Olivia Lutwak at candlelight vigil. Update: Former Assemblyman Marty Luster was also taking pictures, and he has posted a gallery. Dryden teachers finally have a contract, after working four of the last five years without one. The Dryden Faculty Association (DFA) approved a new contract yesterday, and teachers will start the school year with a contract in place. The Board of Education still has to approve the contract at its September 13th meeting. The Journal quotes DFA president Mary Ellen Bossack sounding optimistic: "It's like a big, dark cloud went away. There was a sense of cooperation that was lost and that's back. We're very, very happy." At the county level, the administrator's proposed budget stays within the 3% tax levy increase requested, though there are still cuts in many programs. A potentially expensive project, the county jail, still lingers. The Public Safety Committee sent the legislature two jail proposals last night, a $3.5 million renovation of the existing 72-bed facility and a 136-bed jail for $19.96 million. The state also released some money to TCAT that was held up over its organizational structure. The Journal's editorial, on flu vaccination, lists two Dryden vaccination events. There will be vaccinations at Dryden Veterans Memorial Home (map) on November 9th from 9am to noon, and at Bethel Grove Family Center (map) on November 10th from 9am to noon. 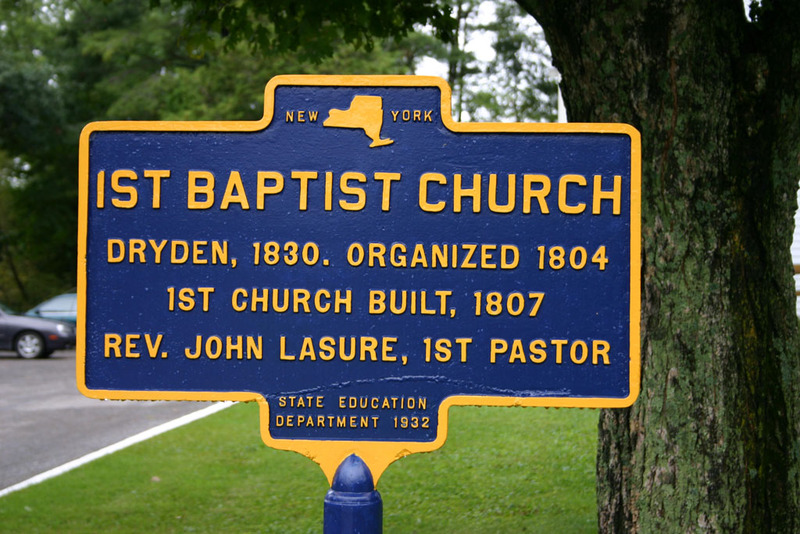 Dryden appears briefly in this morning's Journal, mentioned once in an article about schools inspecting their roofs after a collapse in Washingtonville, and once in an article on the start of football season. The county is working on a long-range transportation plan. There will be a public meeting on the plan from 6:30pm to 8:30pm on Thursday at the Tompkins County Public Library (map). I sent Ann Leonard and everyone involved in the Hammond Hill trail repair and block party a laurel. Nancy Lee Koschmann of Dryden sent the Journal a dart for not covering the "wall" protest on the Ithaca Commons. I thought I saw an picture of that, but I guess it was in the Ithaca Times. The Journal was at the candlelight vigil Thursday, and I haven't seen an article on that either. Maureen Brull of Dryden asks "Why aren't we focusing on the lies that Bush perpetrated to the world that has now cost innocent American and Iraqi lives in the thousands, not to mention those who are forever maimed?" Looking for a free wireless access point in Dryden? 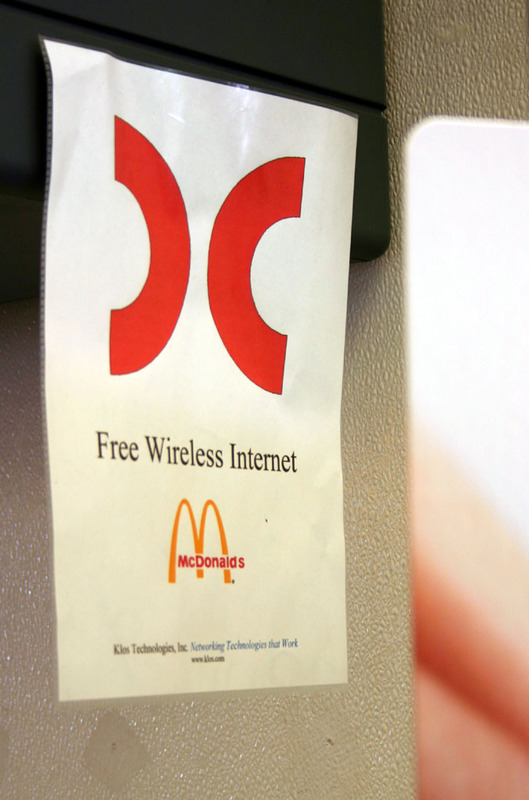 I saw in the Ithaca Times this week that the McDonalds in Dryden has "free high speed wireless access in its dining room lobby." That warranted a trip to check it out. Sure enough, it works! Sign for wireless network at McDonalds of Dryden. 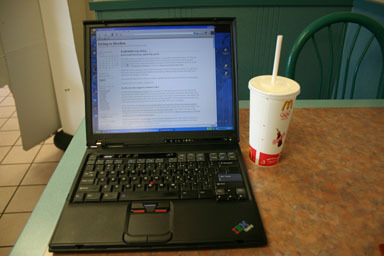 Living in Dryden, coming over the wireless network at McDonalds of Dryden. They're getting more signs soon, but it does work nicely and cheerfully automatically. My laptop found the network automatically when I set it to a blank SSID (which lets it find whatever network is handy) and no encryption. You need to bring your own laptop with its own wireless card. They aren't providing computers for people to use, but if you have your own, this is convenient. It's a quiet holiday for Dryden news. There is an announcement for next Tuesday's Republican primary, where Congressional incumbent Sherwood Boehlert and challenger David Walrath will face off. On the opinion page, Fred Quinlan of Freeville writes of Assemblywoman Barbara Lifton that "I really had to chuckle at her comment about not sponsoring a certain bill. She said it would not go anywhere and to sponsor such a bill would be political posturing. Excuse me, isn't that what our legislators in Albany are all about?" There doesn't appear to be any Dryden news or opinion in this morning's Ithaca Journal, so I'm hoping everyone had a pleasant and quiet Labor Day weekend. There is, however, a bit of good news on the county level, as the local economy appears to be on the uptick for the first time in a few months. The Town of Dryden has updated the public notices page for September. The Zoning Board of Appeals meets tonight, Tuesday, September 7th, at 7:30 pm. The Recreation Commission is also meeting tonight at 6:00 pm, at the Recreation Department Office (map). Use the back entrance. The Town Board is meeting at 7:00pm on Thursday, September 9th. The full agenda for the meeting is not yet posted, but the meeting will start with a public hearing on offices for the Bolton Point water commission. The Youth Commission will meet next on September 21st at 7:00pm. The Planning Board is meeting at 7:00 pm on Thursday, September 16th 23rd. This weekend will be a busy one in Ellis Hollow and Freeville, as signs for their Saturday excitement are up. I noted a Journal article on the two events earlier. 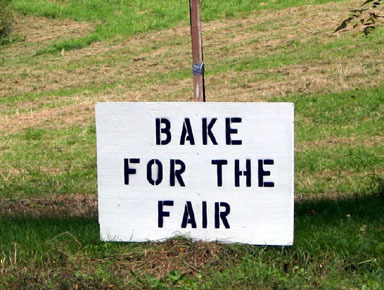 There's also a web page and a flyer for the Ellis Hollow Fair, which runs from noon-4pm on Saturday. I saw a sign by the Freeville Methodist Church announcing chicken barbecue. The festival will start with a Service of Hope at 8:30am, and runs to the afternoon. Wednesday morning's Ithaca Journal reports on the return of students to schools. Dryden schools opened Tuesday. The Dryden Recreation Department is hosting fall sports events, including an eight-week field hockey program and the NFL Pepsi Punt, Pass and Kick contest, which will be held Saturday. Fewer houses should see their assessments increase next year, though some of those are in Dryden, especially in the Ellis Hollow area. Assessor Valeria Coggin estimates that 8,000 to 9,000 of the 27,500 properties in Tompkins County will see assessments change next year, down from last year's 22,000. Borg-Warner, one of the larger employers in the area, is laying off 30 of its 1725 employees, though it hopes to recall them quickly. It was indeed a wet summer in the Northeast, and our local figures seem even higher than the state figures quoted here. "In its last meeting, the board voted to reduce the IYB paid staff time contribution to the partnership in order to put the money toward maintaining existing activities for the kids. Dryden's current coordinator is relocating out of our area;"
It's a quiet day for Dryden news in Thursday's Journal. Hurricane Frances' remnants are soaking the area, though not producing flooding. There's an article on Ithaca High School's rules for parents opting out of information sharing with military recruiters, which also mentions policies at surrounding districts, but not Dryden. On the opinion page, Steve Scott of Dryden defends Reagan's economic policies, while the editorial hopes US Airways stays afloat, as it's our area's only commercial airline. Charlie and I spread almost all the remainder of the gravel on the trail this Monday and Tuesday evenings, hurrying to beat Francis to the punch. This morning I cleaned up all the water pipe ends and ditches, and raked as much gravel as I could to even out the ruts left in the trail by the tractor tires. Mostly now we need to make it all look pretty. So if you care to come along on Saturday September the 11th, say around 9 am? we can rake and shovel and maybe pickax and hoe the whole thing back into shipshape, plus bring in the remaining gravel to fill in where needed. I promise to bring a big bunch of brownies for trail crew. The trail, Yellow Trail One, is opposite the parking lot on Hammond Hill Road. This morning's Ithaca Journal reports that the Dryden Town Board voted unanimously to support the purchase of conservation easements on local farms. Farmers will apply to the state through the Town of Dryden and with the help of Cornell Cooperative Extension, and will receive 75 percents of the assessed development value of their farms in exchange for a conservation easement that prevents development. The article also notes that there will be a meeting on farming and development in the town's draft Comprehensive Plan on Monday, September 13, at the Dryden Veterans Memorial Home (map) from 7:30pm to 9:30pm. As I just mentioned, there will be a meeting to discuss agriculture and planning in the Town of Dryden on Monday, September 13, at the Dryden Veterans Memorial Home (map) from 7:30pm to 9:30pm. Debbie Gross, the Dryden Environmental Planner, sent me the material they've sent out, including a letter to farmers (7KB PDF), a revised "Plan Recommendations" chapter (100 KB PDF) from the Draft Comprehensive Plan, and a press release (7KB PDF) on the meeting. There are definitely some strong opinions on the future of agriculture in Dryden. For background, see this article on the June Planning Board meeting. This morning's Journal reports on the return of Dryden resident Frank Palmer and Jill Ferguson from hurricane relief work in Florida. Volunteering with the Red Cross, both went to Florida after Hurricane Charley and "were redeployed when Frances made landfall." Turkey Hill Road will be closed Monday between Ellis Hollow and Ellis Hollow Creek Roads for bridge repair work. There's reporting on Tuesday's Republican primary for the 24th Congressional District, with an article looking at the positions of Sherwood Boehlert and David Walrath, as well as a piece on their fund-raising and spending. Boehlert has outspent Walrath substantially. In state news, the State Senate has adjourned until after the November election, apparently taking advantage of the incredible lateness of the state budget to avoid having to make clear to voters where they stand on it. Meanwhile, a Democratic Assemblyman from Westchester is calling for substantial reform to New York's constitution. On the opinion page, L. George Van Son of Dryden writes about his concerns about "the current administration's agenda to use fundamental evangelical religious philosophy to shape American values in their image." Murray Cohen of Dryden sends a laurel to PETA for a protest at an Ithaca KFC restaurant. There's also a piece by County Legislator Michael Koplinka-Loehr on the public hearings for the county budget and likely issues. The Varna Community Association will be having a pancake breakfast at the Varna Community Center (map) tomorrow from 8am-noon. $6.00 gets you all the pancakes, bacon, eggs, and french toast you like. They're also looking for volunteers - call Tracey Cranston at 256-5334 if you'd like to help set up, cook, serve, or clean up. Volunteers get a tasty meal for free! On Sunday, September 19th, from 1 to 4pm, the Dryden Town Historical Society will present a program entitled "Remembering Bethel Grove," to be held on site at the Bethel Grove Community Center (1825 Slaterville Road). Noted local history enthusiast Molly Adams has been researching this small but once flourishing community that lies within the boundaries of Dryden, Ithaca, and Caroline. Caroline residents are probably more familiar with Bethel Grove because they drive through it to get to Ithaca. But newer Caroline residents may not realize what they don't know about this section of Slaterville Road. Who remembers Carrie Rightmeyer's store or the Steiger store? Who remembers Kellogg's - or the little Texaco station - or Sylvan Hills - or Marion's Fruit Stand? 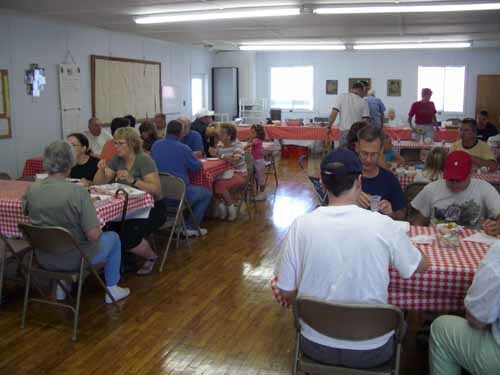 How about the chicken and biscuit dinners at the community center and the church? Molly has prepared a program where old-timers can share memories with newcomers and anyone interested in local history. This is to be the beginning of an on-going project to uncover the history of Bethel Grove. Molly has received information and encouragement from Chuck and Hazel Mandeville, but can see there is a lot more to learn. If you have photos, stories, or other information to share, please join us on September 19th for an afternoon of history, memories and light refreshments. If you are unable to attend, but have information about the Bethel Grove community, call Molly Adams at 539-7815. On second thought, if you have good stuff, call Molly anyway and maybe she can do some advance copying, enlarging, and protective pacakaging before the event. This program is free and open to all. For more information call Molly Adams (539-7815) or Mary Hornbuckle (898-3461). 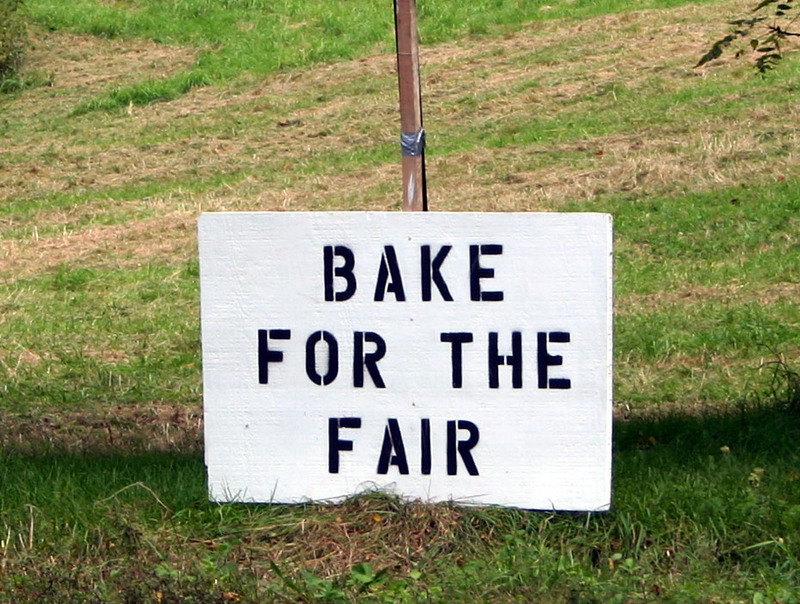 As it has for more than a half century, the second Saturday in September brought legions of locals to the annual fair, with its booths, games and other traditional activities. 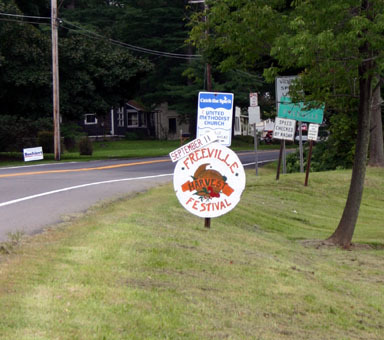 The Freeville Harvest Festival is mentioned in an article on remembrances of 9/11. The Ithaca City School District is getting ready to redraw elementary school district lines, which could affect Dryden. When we bought our house, I was constantly amused by listings which described it as being in Cayuga Heights because kids in my neighborhood go to that elementary school. It matters for far more than real estate, though. In news affecting the county, the sole carrier at Tompkins County Airport, US Airways, is in bankruptcy again. The airline threatened liquidation earlier this month, but so far this appears to at least keep open the possibility of reorganization. This morning's Ithaca Journal reports on today's Congressional primary between Sherwood Boehlert and David Walrath. Polls are open today from noon to 9pm. You must be a registered Republican to participate in the primary. It doesn't take a fortune teller to learn that closing excellent psychiatric facilities such as Willard would ultimately flood the state corrections department with the mentally ill. I wasn't able to make it to this weekend's fairs in Freeville and Ellis Hollow, but my lovely wife Tracey went and took some pictures. Here's a sampling of the weekend's fun. Enjoying a meal at the Freeville Harvest Festival. 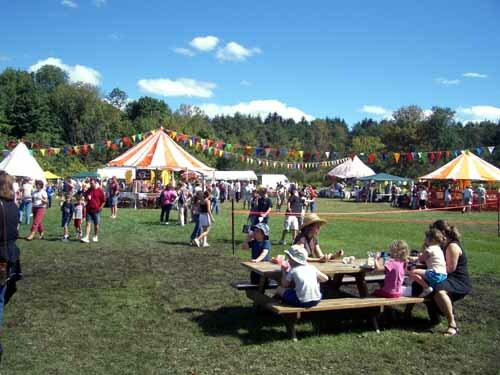 A fair in the woods at Ellis Hollow. 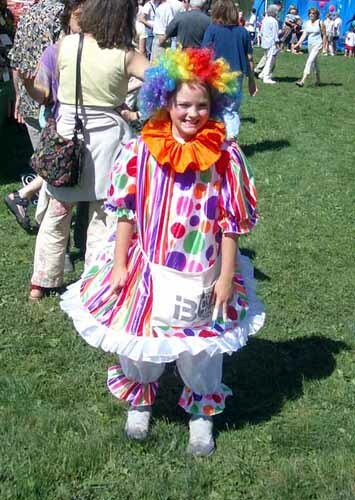 Clowning around at the Ellis Hollow Fair. Today's Ithaca Journal reports that Sherwood Boehlert defeated David Walrath by 20,365 to 14,741. In Tompkins County, the vote was 919 for Boehlert to 613 for Walrath. In the general election, Boehlert will face Walrath, who has the Conservative line, and Jeffrey Miller, a Democrat. Closer to home, the Journal's "Our Towns" section seems to be shrinking. It's no longer a full page without advertising, but half a page plus a briefs section on the opposite page, and the statistical box is missing this week. Today's includes a profile of Dave Klein and Klein's Archery which made the paper but not the web site. Cathy Wakeman reports from last month's "Ladies Night Out" that the group is looking for a good project for "Make a Difference Day", and looks at the Southworth Library book sale as an example of making a difference that's already going on. In the Town Briefs, they mention the Dryden Town Historical Society's Sunday get-together in Bethel Grove as well as the September 19th Etna Community Church 200th anniversary celebration. The Ithaca City School District began looking at elementary school redistricting last night, with the hope of sorting it out by February of next year. In county news, the Recreation Partnership is facing cuts at the County Legislature meeting tonight. At the state level, Assemblywoman Barbara Lifton formally announced her campaign for re-election. It looks like the contract negotiations in the Dryden Central School District have finally reached a positive conclusion, as the school board voted unanimously to approve the contract that teachers approved September 2nd. Meanwhile, in the Ithaca District, negotiations with the service union reached an impasse. "I am not prepared to add this position back... I can't gloss it over. There wasn't a department who wasn't injured during last year's budget. But everyone else licked their wounds and went back and did what was best for the county. But with the DA, there was a major flurry of correspondence basically saying that drug court would end because of his lack of participation. It was done in retaliation because of what the Legislature did. It can't be a political act by a department head." Lane and fellow Dryden legislator Martha Robertson voted against adding the money to the DA's budget in a 7-7 vote. Lane and Robertson split on making some Alternatives to Incarceration programs a permanent part of the County budget, with Lane voting in the majority against and Robertson for. There's an article on the Ithaca Youth Bureau that discusses the Recreation Partnership of which Dryden is currently a member. One thing that caught my eye was a request for a $40,000 software package. It may be the right thing to do, but I really wish governments would work together to come up with open source packages for such things. It wouldn't make all of the costs go away, but it could reduce a lot of the cost while making it easier to customize tools to specific needs. Open source also avoids the data lock-in problem, where vendors control formats to ensure that you're stuck renewing the licenses. Finally, the August Environmental Health Highlights mention some activity in Dryden, largely water problems and restaurant inspections. I was away last week, so I'm covering two issues of the Dryden Courier in one article. Both issues focus on farming issues and the start of the school sports seasons. "Farmers aren't greedy, they're just independent thinkers," [Warren VanPelt] said. 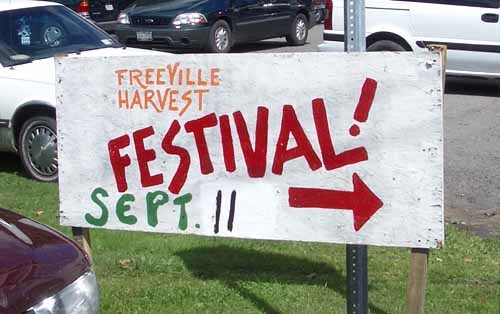 There was also an article on the (then) upcoming Freeville Harvest Festival and an article on Dryden Boys' Soccer. The editorial examines the costs of equipment for a new emergency communications system. In the September 15th issue, both of the cover stories are about farming and development. The first discusses the Purchase of Development Rights planning at the Town Board, noting the potential conflict beween plans for future development and the proposed easement applications. The town voted unanimously to support the PDR process. There's also coverage of the meeting that was to be held Monday night, focusing on farmers' concerns. There's no coverage of the actual meeting, however. The sports pages focus on Dryden Girls' Soccer and Dryden Football. 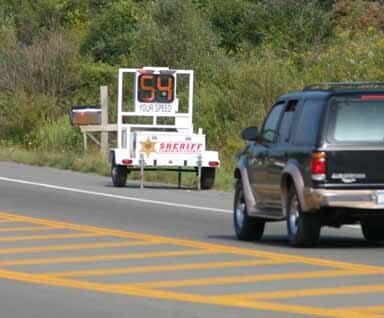 I've seen the Sheriff's Department trailer that reports the speeds of passing cars on 13 before, but rarely in Dryden. (It was at the Pyramid Mall last week.) I was happy to see it on 13's 45mph zone in Dryden this week, though it doesn't seem to slow quite everyone down. Speed monitor on Route 13. An Ithaca Journal article on a celebration of 100 years of the Tompkins County Pomona Grange discusses how only two of its founding nineteen local granges still exist: Enfield Valley and Dryden. The Ithaca City School District is studying why only 254 of 298 students repeating classes finished summer school, while the Dryden district had 32 of 33 finish and other districts had similarly higher completion rates. This morning's paper also has a listing of student achievements at TC3. This morning's Ithaca Journal reports that questions about what constitutes an 'active member' are delaying the distribution of foreign fire insurance money. State law requires that the money, which comes from out-of-state insurance carriers covering property in Dryden, be distributed according to the number of active members in the companies, but doesn't define active. Etna reported 59 members last year and 38 this year, while Dryden was 58 last year and 54 this, Varna was 28 last year and thirty this year, and Freeville 27 last year and 23 this. Combined with Etna's low responsiveness to fire calls, there are lots of questions about how this counting works. There is also a county health report, though it looks like it duplicates much of Thursday's Environmental Health Highlights. 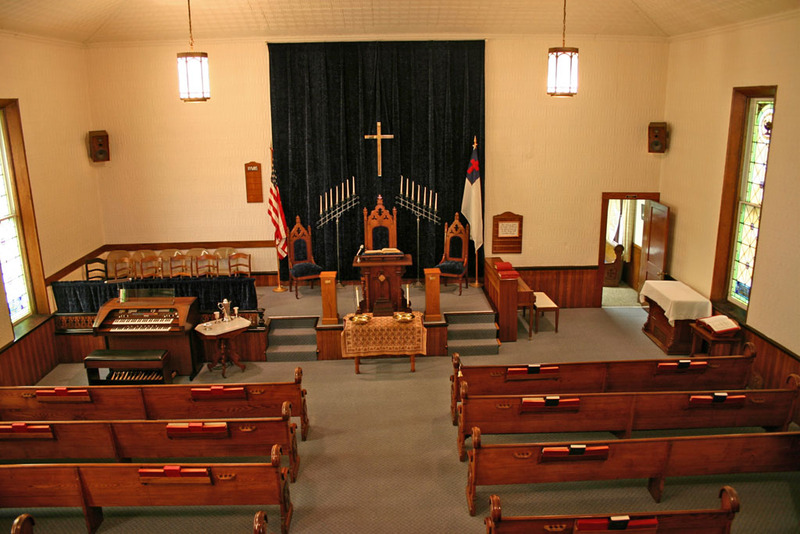 The Etna Community Church, founded as the First Baptist Church of Dryden, is celebrating its 200 years of activity. Pastor Robert Doan, Postmaster Judy Auble, and a group of volunteers were posting information about the church and getting ready for tonight's hymn singing. I've posted a gallery of photos from the church, and here are a few. Recently repainted historical marker for Etna Community Church. The church lobby will be open this weekend with displays of church documents, photos, and all kinds of information going back to the founding of the church. Bob Brackett was happy to tell me about the church-inside-a-church, a second layer inside the original building, and the bell with its two ringers, cast originally for the Methodist Church that used to be in Etna but at the Community Church since its 1904 centennial. They'll be having hymn singing tonight at 6:30pm, and a worship service tomorrow at 10am with a reception to follow. My gallery doesn't really capture it or the energy of the people there - it's definitely worth a visit! The Dryden Town Historical Society's "Remembering Bethel Grove" session brought people to the Bethel Grove Community Center yesterday to look over exhibits of Bethel Grove history and talk about what happened there and why. Exhibits of Bethel Grove History. 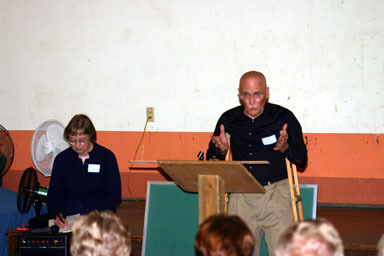 After a half-hour or so of letting people look over exhibits - and annotate them with Post-It Notes - David Smith of the Historical Society welcomed attendees and then Molly Adams stood up to speak about the community that had emerged between Ithaca and Besemer along Route 79. She talked about the school that had once been the heart of the community, of the building of the community center, and of the dramatic changes to the area as Ithaca has grown out from the city. Molly Adams and Bethel Grove Community Center President Roger Yonkin. Bethel Grove Community Center President Roger Yonkin spoke about the community center and the challenges it has weathered so far, as well as his concerns for the future and particularly for the Community Center Property. After Yonkin spoke, audience participation began, as different members of the community talked about the history, corrected some of the things they'd seen and heard, and told stories about the area's past few decades. I've put up a gallery of photos from the session. A lot of them are documents and displays. I especially like Verne Marion's carved animals at the bottom left of this display. While I was at Bethel Grove, Michael Ludgate (of Ludgate Farms) was at another event with a large dose of history, though just outside the Town of Dryden. He was taking around 200 pictures of Judy's Day at Cornell Plantations, which was "Harvesting Upstate History" for kids. Dryden news is mostly quiet today, but the county is poised to make a $19.96 million (or $2.13 million) decision tonight: what to do about the county jail. The more expensive option will expand the jail to 136 beds, while the cheaper option will repair the existing 72-bed jail. Community Briefs note that the county Environmental Management Council has an open seat to be appointed by the Village of Freeville, and that $500 community beautification grants for rural towns and villages are available once again. On the editorial page, the Journal announces that it will not endorse incumbents for the state Assembly or Senate, recognizing that "the problem lies with the entire Legislature -- particularly in the rules that govern it," but concluding that "an endorsement of any Assembly or Senate incumbent at this time would be a tacit approval of state government performance." State Senator James L. Seward will address the audience in a town hall style meeting on major state and local topics of interest. Following the senator's remarks, residents will have the opportunity to address Senator Seward with a question and answer period. Later, Senator Seward will be available to talk privately with those who have state-related problems. For more information, please call Senator Seward's District Office at (607) 432-5524 or visit our website. The town hall meeting will be held at the Dryden Village Hall (map). I'll be curious to see how it contrasts to Assemblywoman Barbara Lifton's meeting back in March. The Wednesday Ithaca Journal isn't what it used to be. As I noted last week, the Our Towns page is shrinking. Ads eat half the page, the demographic chart is gone, and one of the columns is on the other side of the spread. The Dryden Briefs and Groton Briefs which had condensed into Town Briefs are just gone now. The experiment seems to be fading. There's still Dryden news, though. Tompkins-Cortland Community College is hiring, facing the retirements of fifteen faculty members over the next three years. A $325,000 budget gap created by Governor Pataki's recent vetoes presents a challenge, and the college also wants to increase the diversity of its faculty. TC3 President Carl Haynes is also quoted in an article about New York's continuing budget warfare. At the county level, the legislature approved the eventual expansion of the county jail from 72 beds to 136 beds, a nearly $20 million project. Few legislators sounded happy about the scale of the expansion, which the New York State Commission of Correction insisted upon. County Legislator Martha Robertson asked to "make sure it is in the record that 136 beds is so overkill for what our experience is in Tompkins County," while County Legislator Mike Lane pointed out that "we face, once again, unfunded state mandates and graduated sanctions against us." Both Lane and Robertson voted for the project in the 11-4 vote, as did County Legislator George Totman. Today's jail census counts 66 inmates. On the opinion page, Maureen Brull of Dryden objects to the rising costs of American involvement in Iraq, notably a $4 billion debt forgiveness. This week continues to be a quiet one for Dryden-specific news, but there's a fair amount of county news that affects Dryden. The Tompkins County Municipal Officers Association will be having a forum on county government, with a focus on the prospect of a county executive. Gerald Benjamin, a political science professor at SUNY New Paltz, will be the speaker. The event will be held at 7pm next Tuesday, September 28th, at the Ithaca Town Hall (map). The Town of Dryden Planning Board is meeting tonight at 7:00pm, a week later than usual. There's no sign of an agenda on the town site, but I'm guessing they'll be discussing the Comprehensive Plan, especially with all of the recent activity around agriculture. The Town Board is having a special meeting tomorrow morning at 8:30am. They'll be discussing the appointment of a new Recreation Coordinator, the issue of additional vacation days for town employees, a referendum on the establishment of the Royal Road water and sewer districts, and the possible purchase of real property. Both meetings will be at the Dryden Town Hall (map). This week's Dryden Courier visits a Saturday Kids Club event at the Dryden Assembly of God Church, as Gary Croniser II presented a magic show combined with a religious message. They duplicate a story from last week about having the state purchase development rights from farms, but further inside the paper is an article that examines the "great sense of relief" resulting from the adoption of a new contract for teachers in the Dryden Central School District. The sports section profiles Abinye Smith, who plays both football and basketball for the Dryden Purple Lions. I'm not entirely sure why - maybe Google? - but one of my entries keeps getting comments. It's Dryden resident running for ICSD; county news, though most of the comments are actually about the Dryden school board elections, which didn't get a proper article until about two weeks after that one. Update: All of the IP addresses on the comments after the first one appear to be from the same people, somewhere near Cleveland. It's a fake conversation, alas. I couldn't find much on Dryden in today's Ithaca Journal, but they did have an article about Cornell getting approval to build a raptor barn in their poultry complex on the western (Ithaca) side of Game Farm Road. It sounds like that area is thoroughly overrun with birds, given the pheasants on the Dryden side of that road. Update: There's also an article on adopting magazines at the Tompkins County Public Library, which notes that TidBITS, a Macintosh-oriented publisher based in Dryden, adopted MacWorld magazine. I know it's been kind of slow here on the surface, but if you look carefully, I'm making some changes, especially to the categories. What used to be just "schools" is now mostly "schools (Dryden)" and "schools (Ithaca)," as well as "TC3" and "schools (other)". The first three are pretty self-explanatory, while the last covers things - private schools in Dryden, and coverage of other districts - that don't fit under the other categories. The old news category is now "Ithaca Journal", "Dryden Courier", and "The Shopper," depending on the source. Some news has still escaped this sieve, and I'll get to it eventually. Finally, I've added a "churches" category, as that seems to come up more often. It doesn't make much difference, unless you're looking at a category with too many stories in it. I'm probably the only one doing that regularly, but adding more categories makes that a lot easier. I'd rather do it sooner than later, as recategorizing stories is definitely not much fun! This morning's Ithaca Journal reports on yesterday's Town Board meeting, noting the appointment of a new Recreation Coordinator, Jennifer Staton. (The Journal says "Stanton", but I'm pretty certain I saw "Staton" on the papers yesterday.) Outgoing Recreation Coordinator Jennifer Glaab, who has moved to Tennessee with her partner, has been running the office remotely with the help of an intern. At the county level, the Journal examines the tough decisions facing the county legislature as it tries to figure out how to fit capital projects, notably a new jail, into its budget. $300,000 of design fees will have to go into next year's budget somehow. Congressman Sherwood Boehlert will have coronary bypass surgery Monday after doctors found blockages in several arteries. Boehlert "may not be able to return to work until shortly before the Nov. 2 election." The Journal also lists votes by state representatives and votes by congressional representatives. Finally, Green Party presidential candidate David Cobb, who stayed in Dryden during a visit to Ithaca earlier this year, won't be on the ballot in the New York. He didn't have enough signatures, apparently because of division within the New York State Green Party. I've been watching the Tompkins County Greens site for any discussion of the race since Cobb was nominated, but it's remained silent. The Dryden Planning Board met Thursday night, first approving a subdivision and changes to an existing subdivision, and then focusing on two of the more difficult parts of the Draft Comprehensive Plan, agriculture and trails. The first item on the agenda was a public hearing about a proposed subdivision at approximately 200 Hunt Hill Road (map). Kent Moore wanted to subdivide a property to break off a 4.3-acre lot for sale. There was a fair amount of confusion surrounding maps on this one, partly because of an earlier submission of a more comprehensive plan and Moore's lack of detailed plans for the rest of what he wanted to do with the property. Discussing a Hunt Hill Road subdivision. 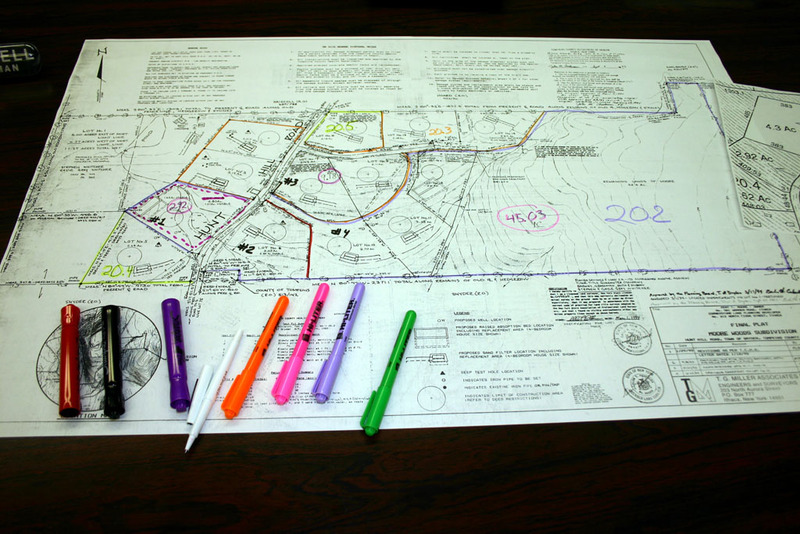 After a lot of discussion, Zoning Officer Henry Slater used a collection of colored markers to illustrate what was breaking off and what had happened before, creating a map that satisfied the board. Colored map for a Hunt Hill Road subdivision. The board gave initial approval to the subdivision - with conditions on planning approval for future subdivision - and passed a negative SEQR declaration for it. The next applicant was Brewster Chase, who wanted the board's approval on some revised boundary lines for an earlier sudivision. The board found the new lines to be both an improvement and not a substantial change to the overall form of the subdivision, and approved it. The rest of the Planning Board meeting was spent discussing agriculture issues and trail issues, for the most part. They discussed the committee formed at the meeting earlier this month on agricultural issues, and expressed hope that the committee would give them concrete suggestions for the comprehensive plan. Planning Board member Tom Hatfield expressed concerns that some of the work might reflect general opposition to community involvement in land use decisions, but was hopeful that their input might help the board much the way that the earlier public information sessions had. 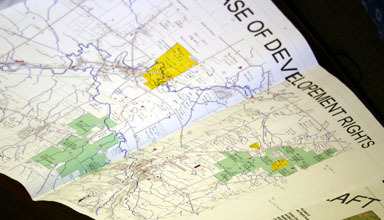 The board also discussed the prospect of Purchase of Development Rights applications in the town, as shown on the map below. Proposed Purchases of Development Rights of farms in the Town of Dryden. Planner George Frantz was happy to support such purchases and noted that buying 25% of the rights in an area can often be enough to keep development from sprawling, but also pointed out that "the biggest obstacle to PDRs in Tompkins County is land values. $600 an acre just isn't enough cash." While he cited the number of survey respondents who were willing to spend tax dollars on rights purchases, Tom Hatfield also raised concerns about having a land trust hold the easements, feeling that the town needed to control its own destiny in such matters. (His comments sounded much like those of County Legislator Michael Lane at the August Town Board meeting.) George Frantz talked about how Massachussets provides a specific buy-back window for development rights after 25 years (at the new value for the land), but it didn't sound like New York had similar options. Environmental Planner Debbie Gross also brought up a proposed New York State law that would have the state provide an income tax credit of up to $5000 covering 25% of local, county, and school property taxes on land covered by an easement. The board took no action, but sounded interested. Trails were another important issue. Planning Board member Jim Crawford reported how much he had enjoyed "the pleasure of a well-maintained multi-use trail" while visiting Virginia Beach. There had been earlier discussion about removing the proposed trail through Ellis Hollow, and the board discussed once again how that might (or might not) work, noting the existing trails around the Ellis Hollow Community Center and suggestions from Town Board member Chris Michaels. Tom Hatfield suggested that the Comprehensive Plan might do well to suggest more trails through the town than it does now, with the understanding that choosing and implementing those trails will be the job of the Town Board to do. More trails on the map are more possibilities, and also help make it clear that these are possible trails, not planned trails that will be implemented soon. While the railroad beds are an obvious opportunity for trail creation, Hatfield was especially interested in the possibility of using power line rights-of-way as another option for creating trails. George Frantz discussed the Town of Ithaca's experience working with NYSEG in creating the South Hill Recreation Way. The board also discussed how trails might fit with the 2025 Long-Range Transportation Plan the county is working on. The Town Board met Friday at 8:30am. 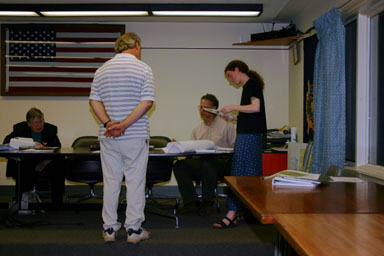 Because court was in session, the board met in the Zoning Officer's office. It was a little crowded, and the picture doesn't even show two more of us who were in there. Town Board meeting in a cramped space. The board appointed Jennifer Staton to be the new Recreation Coordinator for the town, replacing Jennifer Glaab, who moved to Tennessee when her partner took a new job. Glaab has been working remotely, with the help of an intern, and Councilman Steve Stelick said they planned to have some overlap time for a transition. The town put ads in several papers and received 60 or 70 applications. A four-person review team, including three members of the Recreation Commission, reduced that to eight, then had interviews and reached consensus on Stayton. The board approved a probationary appointment for her 5-0. There was also some discussion of the Recreation Partnership. The board didn't take any action, but sounded pleased with the approach that the Municipal Officers Association is taking to the Rec Partnership. Control and accountability seem to be the primary issues, not the dollars involved. The board also approved wording for the ballots to be used in the referendum on the Royal Road water and sewer districts, which will be held with the November 2nd general election. The board discussed telecommunications tower issues, as a tower built before the town took the authority to approve towers is getting updates to its antennas. Town board members didn't seem to have any problems with the changes being proposed, and will look at revising the law to cover such situations in the future. The town also appears to be making progress toward finding a telecommunications consultant, though they haven't yet hired anyone. The county is no longer inspecting the Virgil Creek dam, as their 5-year commitment has expired. The town and county need to sort out how inspections will work. The board approved giving non-union town employees four extra vacation days, which gives them parity with the unionized employees. There was a question about getting a final financial statement from Southworth Library as part of the budget process. An anonymous caller left a message saying that new houses had gone up on Leisure Lane and more lights were needed, but no one was sure where. The board may have to meet a week early in November because of budgeting. There's a financial issue with diverting sewage from the Cayuga Heights treatment plant to the City of Ithaca plant. The board then went into executive session to discuss purchasing property and potential litigation. Yesterday's Journal reported that part of it was about buying 20 acres from Empire Livestock. It's another quiet day for Dryden news. The only Dryden-specific item in today's Ithaca Journal is a letter from Dryden resident Steve Scott defending President Bush on both his recent statements about John Kerry's service in Vietnam and Bush's service in the National Guard. Trails seem to be a constant issue in Dryden lately, so I've added a category to reflect that. If you want to see what's happening with trails, visit the trail category archive. This morning's Journal looks at last night's Dryden School Board meeting. The Board appointed Amanda Kittelberger to the seat Tricia Edgecomb resigned, and worked on annual goals, the strategic planning committee, and the public relations committee. Following state mandates, they increased the number of credits required for graduation has increased from 20.5 to 22. There will be a reception for new Superintendent Dr. Mark Crawford tonight, held in the Dryden Middle School cafeteria from 7pm to 9pm. In county news, the election rolls are up 6% as interest in the presidential race drives people to register to vote. In state news, a group of 17 legislators is pushing for reform in the Assembly. Unfortunately, there's no mention of Assemblywoman Barbara Lifton, but they don't list all 17 legislators. It sounds like what they're pushing for is a subset of the Brennan Center's recommendations (405K), but it could still be significant. The Journal's editorial examines emergency planning, especially ice storms. They noted that "residents found that calling NYSEG during such a disaster was about as useful as howling at the moon. Company headquarters are out of state." When we first moved here I figured that living within a mile of the NYSEG headquarters would help with power outages, but even before NYSEG started moving out that didn't really seem to work. The Binghamton Press & Sun-Bulletin reports that Congressman Sherwood Boehlert is resting comfortably after a successful triple bypass operation at the National Naval Medical Center in Bethesda, Maryland. His doctor expressed hope that he'd be back to work before the November 2nd election. In today's Dryden Town Talk, Cathy Wakeman reports that Adam Pamel's Eagle Scout project, raising money for school supplies for 33 children, was a success. Pamel set up collection boxes, held a car wash, and was noticed by Cayuga's Helping Hands and Cargill, which both made donations. The children each got a backpack as well as supplies. Wakeman also notes that the CROPwalk will be in Dryden this Sunday fron noon to 3:00pm along the Dryden Lake Park Trail. Briefly in Dryden includes requests for applicants for both a Zoning Board of Appeals position and a Planning Board position. At the county level, legislators added $950,000 to the capital funds budget, including money for designing a new jail, for the emergency communications project, and for roads. ($600,000 for the jail, $500,000 for emergency communications, and $250,000 for roads doesn't add up to $950,000, so I'm guessing there's some financial subtlety the Journal didn't explain.) The change takes the tax levy from a 3% planned increase to a 5.29% increase. The budget isn't yet finalized, however, so that number may yet change. The county legislature also approved $38,000 of funding to the Recreation Partnership on a permanent basis, removing one of the financial issues driving questions about that organization. In the article, County Legislator Martha Robertson says that "the importance of maintaining a countywide recreation partnership cannot be underestimated." It doesn't look like the Rec Partnership will disappear as an issue, however, as Ithaca Town Supervisor Cathy Valentino said that "there are concerns we feel need to be looked at." On the opinion page, Nancy Suci of Dryden asks "How did 'commander-in-chief' become the most important qualification for being a U.S. president?". The Journal's editorial focuses on the reform proposals in the state Assembly, noting former Assemblyman Marty Luster's 2000 efforts at reform and suggesting that "Assemblywoman Barbara Lifton, D-125th Dist., has supported budget reform and favors some of the proposals in this new resolution" - though that's an opinion I'd really like to see coming from her office and acted on, not just suggested in the Journal's editorial. Dryden news today is light, peaking with an announcement that the Varna Community Association will be selling chicken halves for $4 each on Saturday, starting at noon at the Varna Community Center (map). In county news, legislators voted themselves a $500 pay raise for 2005. County Legislator Mike Lane sponsored the measure, and fellow Dryden legislators Martha Robertson and George Totman supported it. Both letters on today's opinion page are from Dryden residents. Cathy Wakeman of the Village of Dryden writes that "We have abandoned our sense of 'good morals' in the name of free speech." Sara Catterall of the Town of Dryden warns that "If you want to vote for Bush, you need to come up with another reason than fiscal conservatism and small government. This year the Republican candidate supports neither."